The F809 Right Angle Baby Plate provides a standard 5/8 inch lighting spigot which can be fastened to a wall and used to mount lighting fixtures or microphones with adapters. 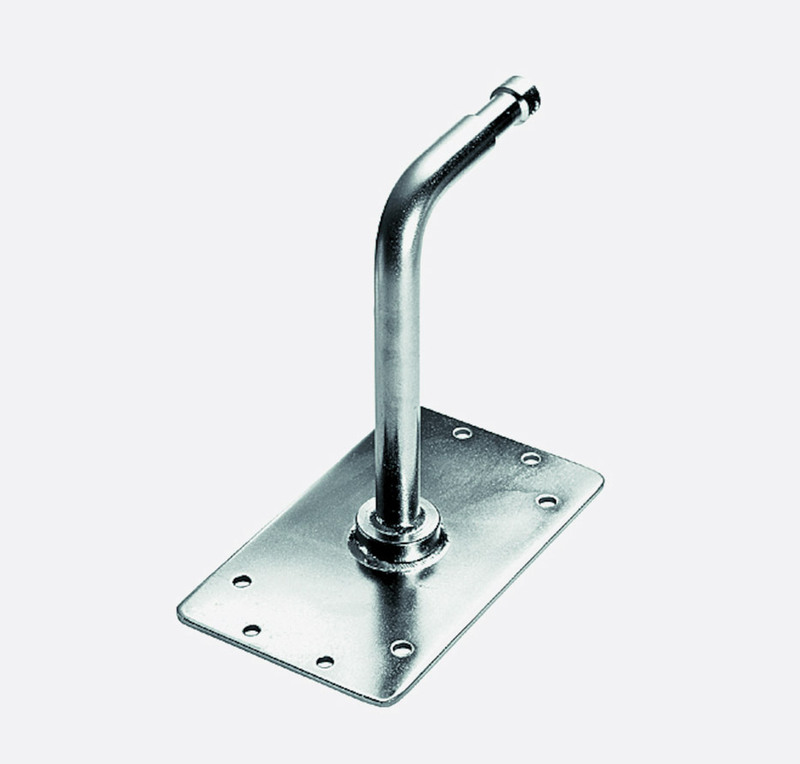 It consists of a steel plate with apertures for fasteners, to fix the plate to a wall. A 5/8 inch diameter rod is welded to the plate, with a 90 degree bend to position the rod parallel to the wall. The end of the rod is turned to the dimensions of a a standard 5/8 inch (16mm) lighting spigot. Finish: Chrome plated. See 53-707 for a suitable microphone thread adapter.